Mount Rainier, is the highest mountain of the Cascade Range of the Pacific Northwest, and the highest mountain in the U.S. state of Washington with a summit elevation of 14,411 feet (4,392 m). It is a large active stratovolcano located 54 miles (87 km) south-southeast of Seattle, in the Mount Rainier National Park. I happened along at this location and loved the long shadows and deep green color that was enhanced during the sunset hours. 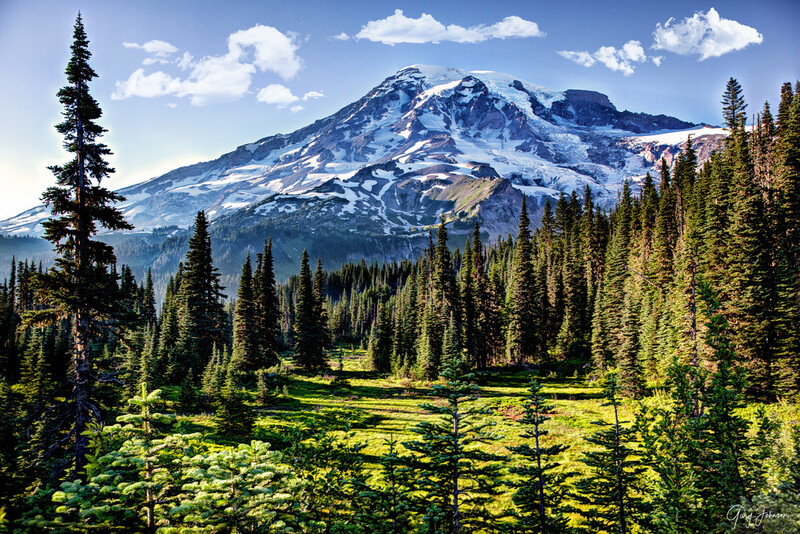 Mount Rainier is surrounded by 26 major glaciers.